I’m probably the last person you thought who would tell you that sometimes you simply have to spend money. Spend money… that’s right. You can’t go to the grave with it so why not spend the money you worked hard to save? It’s true that it’s great to make money and watch your net worth grow but you can’t hang on to every penny without spending some of it. It’s fine and dandy saving money but there will come a time when you have expenses that you might not want to pay for but you’ll have to. There will also be times where you want to splurge on yourself because you’ve reached your financial milestones or any goals that you’ve set for yourself. The key to remember is that you shouldn’t spend money that you don’t have. What that means is if you haven’t saved the money yet you shouldn’t be rewarding yourself. This only contributes to debt and even though your intentions to pay back debt are important remember that anything could happen. 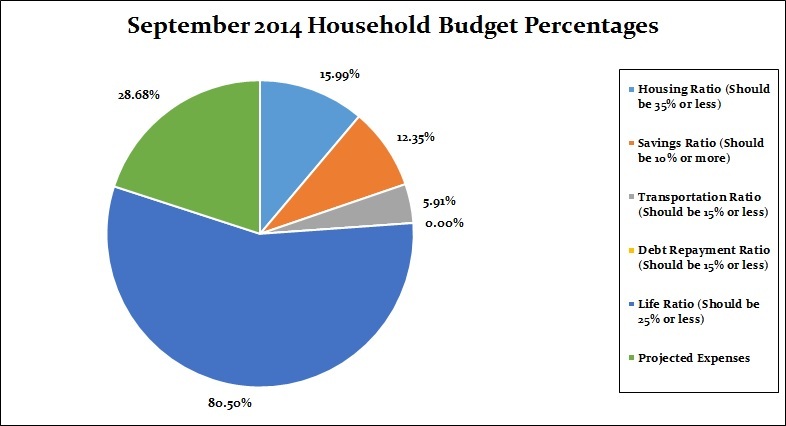 As you will see below in the charts our budget for September was way out of whack. We spent far more than we earned but we didn’t just blow money, we planned the expense. This past month we finally gave up and decided to buy a well deserved new mattress set. We’ve been using king size mattresses that were well past the comfort date. My wife was struggling to get out of bed when she was pregnant and the mattress was so soft and worn out (mind out of the gutter) that it was horrible to sleep on. There were times I simply could not sleep or I just didn’t sleep as well as I should have. Even though I tend to work odd hours and lots of them I’d have to resort to sleeping pills just to knock me out. While walking by Sleep Country Canada we decided to take the next step and go inside. We have never shopped for a mattress before because they were passed down to us. Immediately we were overwhelmed not only by the selection but the prices. They certainly don’t sell low-quality products at Sleep Country so you can be sure that whatever your body fancies you’ll not only pay for it but you’ll get what you pay for. We spent a good hour laying on bed after bed when we finally found the mattress we wanted to take home with us. Keep in mind we have a newborn so we were shopping sleep-deprived and exhausted. That is probably just as bad as shopping for food when you are hungry. Laying in any of those beds felt good but we did end up with one that ticked off all the boxes for us. The mattress price tag was decent as it was on sale but we wanted to add the remote control with an adjustable base. So my wife and I could raise our own side up and down as we please. It’s great for us both to feed the baby and to watch tv. It’s also great just to hang out with my wife and chat as you don’t always want to be laying flat on your back. If you’re someone who loves to read this kind of bed is for you. Some people don’t watch any TV in the bedroom and might not find this bed as something that appeals to them but for us it was what we wanted. We didn’t need to buy it but we wanted it because we knew that it was something that would last us a long time. When we get older and can’t get out of bed this will be great so we aren’t forcing the aches and pains getting in and out of bed. My wife managed to negotiate a great deal with the amazing salesperson which was around $3500 for the complete set down over a $1000 just on the base alone. We did manage to get 50% off our sheets and waterproof mattress pad which put us closer to $3700. They also removed the old mattress and bases for $10 which is cheaper than what I can get rid of them for at the dump because I would have had to make 3 trips each at a minimum dumping fee of $25 each time. So this is our splurge but one that we saved for and will last us a long time. There is nothing more important than a good night’s sleep and we both agreed it’s hard to put a price tag on that happiness. In August you might recall we spent quite a bit for our bathroom renovation which is now on hold. I will be spending more money as the weeks progress as I’ll be jumping back into that scene so I can finish it up. This year will be a big year for us in terms of expenses as you will notice in our upcoming Net Worth post next week. Although we did sleep on the decision to buy the new mattresses I’m happy to report that sleeping at night is better than what we were having to endure. Do you spend money you saved to make your life better? If you scroll down you can see the actual numbers for each budget category. Below I will chat about the budget categories that might have to be explained. Allowance- I spent more than my allowance this month on coffee and muffins while on the road and in hospital. Most of the meals and food went under entertainment. Gas (vehicle)- This was under for the month since I had 3 weeks off from work which meant no travelling to work. Entertainment– This took a big hike because of us having to stay in the hospital for a week with our son. I wasn’t fed so I had to spend money to eat even though we packed lots of snacks. It’s just not possible to bring a weeks worth of meals so I had to buy food although my wife gave me anything she didn’t eat. Hospital food in Canada is rubbish although I’m pretty sure it’s not the best at most hospitals unless you are someone special. Grocery- We went over budget this month but we will make that up in October. Most of what we bought was stocking up on snacks for the hospital and quick meals such as soup. Parking- Our parking allowance went through the roof because of paying for 10 passes at the hospital where our son was born. It made more sense to get a pass rather than pay a daily fee. Baby– This was more than we anticipated in terms of formula which I will explain more soon in a blog post. Misc- We bought a mattress set that cost us a fortune but a good fortune, I sleep better at night now. Taxes- What can I say, the city wants their money although this was a projected expense and saved. We didn’t have anything unexpected pop up apart from buying the new mattress set. Other than that I bought some bits and bobs for the bathroom renovation. Our parking pass for the hospital ran out so that set us back close to $100 and we still have about 7 more visits on the card which is fine. My wife also ordered the Internet when she was in the hospital but she used $30 she earned completing a food study to pay for it apart from about $6.00 which came out of our budget. 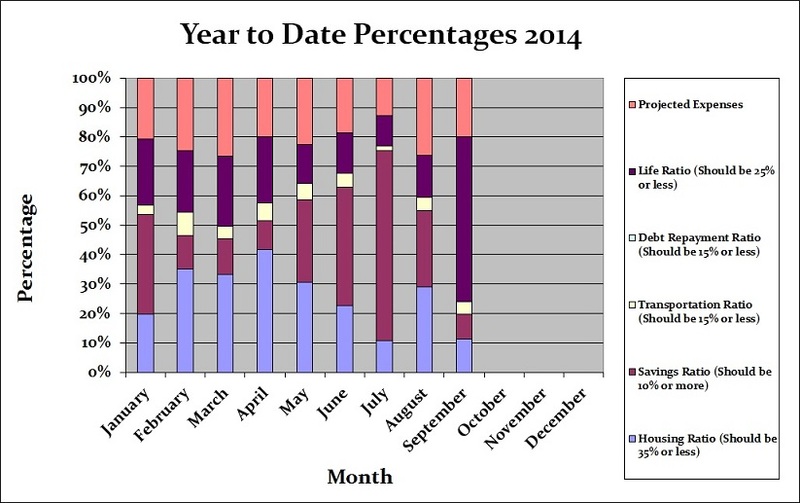 September was also tax time which meant the city wanted their tax money from us. Since our son made his worldly appearance this September I took 3 weeks off from work where one week was unpaid. This is the reason our net income wasn’t as much as it normally is. I did manage to have a holiday paid out which covered one days pay so I didn’t lose as much money. It was more important to me spending time with my wife and son than to be at work earning money that we would be able to survive without. I will always put my family first. Other budget changes you will see is our pet category has been removed and I’ve increased the lottery has been increased to $24 a month although we haven’t bought tickets for two weeks in a row as we’ve been so busy. Our baby is costing us a bit right now but we’re expecting that to change. I’ll be writing a blog post about why the expense for the baby jumped and why it will go down in the upcoming months. We applied for the Child tax credit and Universal tax credit which we were going to use towards his RESP. We decided that we would open a PC bank account for him and save the monthly child tax credit for him and we will pay in full for the RESP from our budget. This means the budgeted amount for the baby category will change once we have accurate figures in the next month or so. I’m currently offering 2 versions of our budget and the reason behind it is simple. Firstly, read the disclaimer because what you do with it is your own business so if you mess it up you need to sort that out. I have not closed off any cells so you can make all the changes you like to the budget to reflect your lifestyle which is what the fans wanted. I often have fans ask me how to budget money and what we do in order to save so much money but the reply is that it’s not about the money it’s about the process involved. There is no one money manager in our household as we are both responsible for tracking expenses. We don’t always save as much money as we would like every month but most importantly we are not going into debt because we are budgeting our money. In fact we are currently debt-free including the mortgage which means all we pay for is monthly bills and expenses we create or that are fixed expenses such as the hydro and water bill etc. Sure we’ve had crap months but we made up for it or we learned from our mistakes just like anyone else would. Budget failure only occurs when you give up on the budget which should not happen as long as you give 100% into making sure you reach your goals. We didn’t always earn the income we do today but what made do with what we were earning year after year so we didn’t go into debt. Please take the time to read through the budgeting series and I hope you take something away from the information. If you have any questions about what we do with our money tracker ie: The Budget than feel free to email me. I may expand more on the topics as we go along and add some mini-series on how we budget to break it down even further for you. Our savings of 12.35% includes savings and investments and emergency savings for this month. Of course this month there was no emergency savings so the percentage only denotes Investments. The total spend this month comes to a whopping 143.43% which shows that we spent all our income this month and used almost half a months income on top. You can also see that the splurge on buying a new bed also had a catastrophic effect on our Life Ratio which for this month was 80.50%. 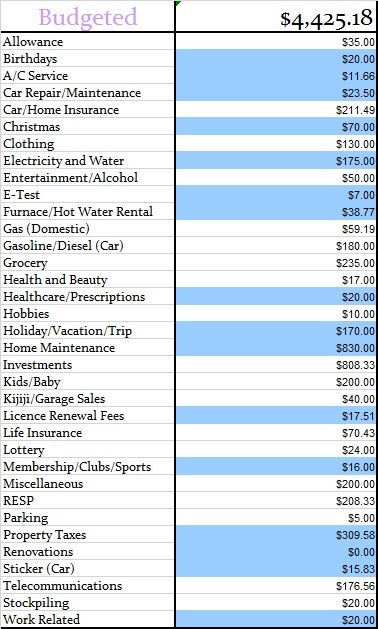 Our projected expenses this month is at 28.68% which now includes some increases due to overspend explained in the 2013 year in review. Below you will see two tables, one is our monthly budget and the other is our actual budget for the month of September 2014. This budget represents 2 adults and baby on the way plus all of our investments although we are not paying into the RESP yet we have that structured in our budget so we get used to it ahead of time. Find out if we accomplished our goals for August. I’ll leave a note by each bullet point. Finish adding lighting to the front yard landscaping-This may have to be put on hold until Spring 2015. Hide the wires for the flat screen TV in the spare bedroom- This has not been completed. 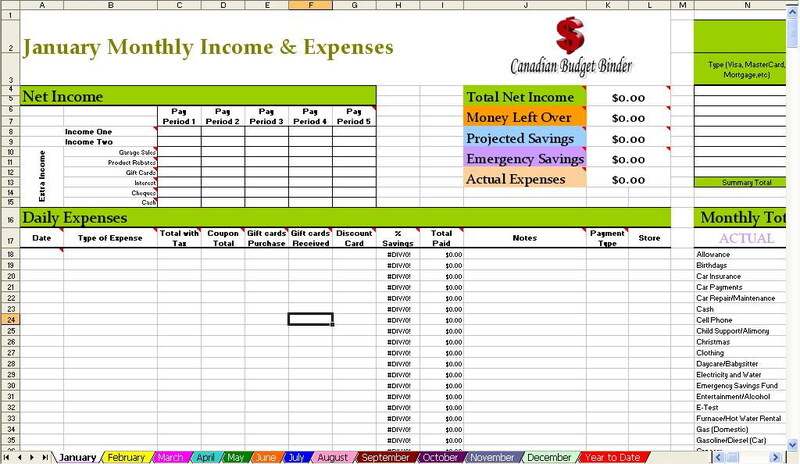 Complete projected expenses tracking sheet for budget (ongoing)-Nope, not done yet. Reach 3350 Twitter Followers- PASS 3527 WOW! A great month for Twitter. Reach 6505 Facebook Followers- PASS 6519 I’m happy with the progress since Facebook has been difficult to reach people these days. Reach 138 Followers Bloglovin- This is NEW!>>> Follow me HERE! Finish a page on the blog I’ve been working on- Nope, not completed. Connect with a new blogger- I’ve connected with a few as I want to start networking out more plus I’m looking for personal finance bloggers to showcase in my Saturday Weekend Review. Finish the bathroom renovation- Not even close!! With baby arriving this has been put on hold for now. Repair the fence in the back garden- I repaired part of the fence but will have to finish the rest in the Spring 2015. Buy a new blind for the garage- This is on a if I remember when I shop basis right now. Finish the walls in the baby room- A few bits left to do mainly just fill in some holes from old hanging photos. Start cleaning up the yard for Fall- I’ve done one major clean-up so far and likely will do another in October. Check back next month to see how well I complete the following tasks for the month of October. Reach 140 Followers Bloglovin- This is NEW!>>> Follow me HERE! Buy a new blind for the garage- This is on an ‘if I remember’ when I shop basis right now. 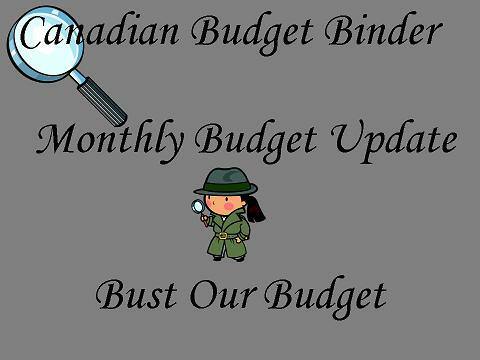 That’s all for this month check back at the beginning of November 2014 to review our October 2014 budget to see how we made out following our own budgeting rules. I just rewarded myself with a baseball glove, the quality one. It cost much higher than the typical one but I consider it’s worth buying it. It can also be used by my son. Sometimes, it’s really good to reward ourselves with something that can make us positive even getting small things. I believe that you get what you pay for. It’s not always worth it to skimp on everything, sometimes you have to spend more so you can get better quality. The mattress sounds like money well spent, especially because you were able to get great deals before you came up with the final price! My grandmother always said buy quality, you can never go wrong. Another thing she always said “you get what you pay for” Pay for quality and have no regrets in the long run. When Zellers went to join Eatons in the retail graveyard we bought 3 sets of Sealy Posturepedic, box spring and mattresses. They are awesome. Well done on your purchase! Money spent on a bed is well spent. We had to buy a new mattress and bed this year. Total cost was £1,000 and that was with a discount. That said, it is ‘omg’ comfortable and shouldn’t need replacing for another 10 years. That’s just it Victoria. We could have bought a cheaper mattress but then we’d likely have to replace it sooner so we might as well buy what we want even if the price tag is a bit steep. Yes, you’re right Mr. CBB sometimes you just need to spend money. Last week, I just bought a new bed sheet, pillow case, blanket and washing machine. Our old washing machine was not working anymore, so I decided to get a new one. I am dying to get a new bed and think it would be money WELL spent. Good for you. Good sleep affects your productivity, so it makes sense to me. Your budget will change over the months I’m sure, but sometimes you do need things. You are right, don’t spend money you don’t have! We did talk about the expense and the credit card bill came in tonight and it’s massive but money well spent. The mattress will last us a long time and it’s a good one we both like. The base and remotes will last hopefully forever!